“Sure. Go ahead, boo me. It ain’t going to change the way I play. That’s going to make me smile more. So please, come on with it,” aspiring villain Jimmy Butler told Wolves reporter Jon Krawczynski a week ago. “I love being the villain. Y’all didn’t know that about me. But you do now,” self-proclaimed villain Jimmy Butler told Wolves reporter John Meyer today. 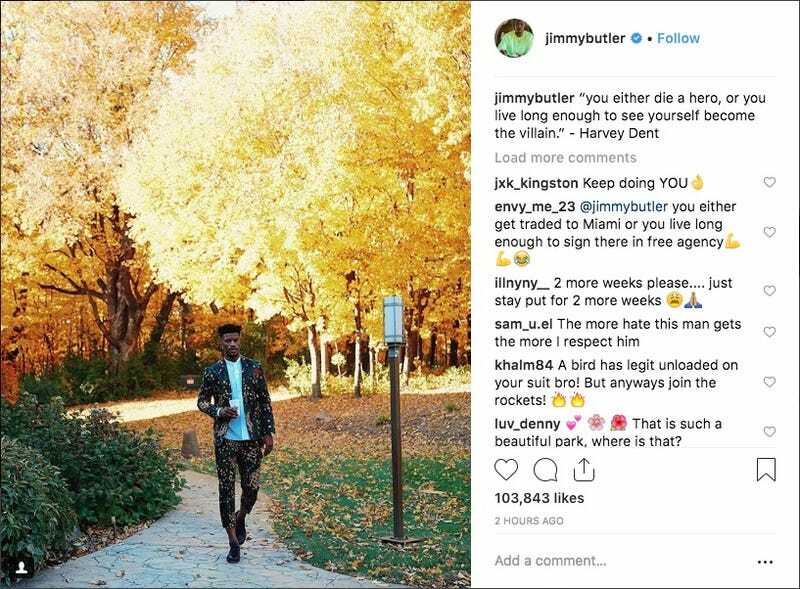 “‘You either die a hero, or you live long enough to see yourself become the villain.’ - Harvey Dent,” possibly apprehensive villain Jimmy Butler wrote on Instagram today.